UK-based electric vehicle start-up, Detroit Electric, has presented the first outline sketches of some of its future models during the company’s debut at Cenex’s LCV2017 (Low Carbon Vehicles) event in Bedfordshire. The company also confirm recruitment of 150 – 200 engineers to support its ambitious EV development programmes is underway. 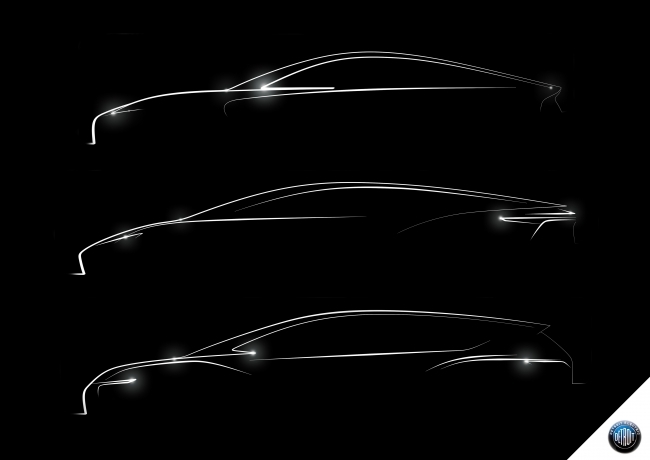 Styling images show side-profile silhouettes of three models that the Leamington Spa-based electric vehicle manufacturer will develop and introduce over the next three years: a sports car, a crossover and a large saloon. Chief Technical Officer and Company Director Richie Frost, says: “We have been working for a long time to put our company into a position where we’re ready to embark on this exciting journey. And we wanted to share our excitement with the visitors to the LCV event by releasing these sketches. They are an unequivocal signal of our intent. The early stages of development projects for Detroit Electric’s range of pure electric passenger cars are already underway following a recent injection of US$1.8 billion in capital from a joint venture agreement. To deliver its exciting business plan, it will invest significantly to expand its engineering and manufacturing centre in Leamington Spa to create a state-of-the art R&D facility, alongside its China facilities.